So I didn’t get a full bedding set forAbigail and the only thing I really needed was bumper pads. So I decided to make them myself! 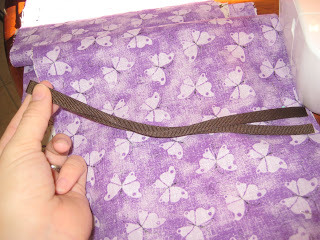 I decided this was to be my first project with my sewing machine and it turned out great! I did it all by myself with no help and it took a lot of re-doing at first cause I hadn’t used a sewing machine since Jr. High! But I feel that I know a little bit more and stuff came back to me from my FACS class. Anyways, here’s how I did it…. 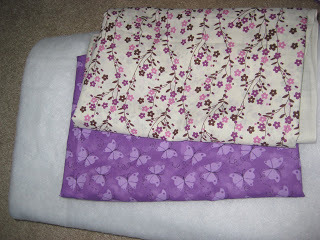 I started with getting the fabric for JoAnn Fabric. 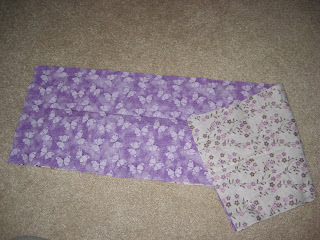 I got a 1 1/2 yards of each pattern because everything I found on the online tutorials said to get about 2 1/2. So I went for 3 just in case. It turned out to be PLENTY and I was able to make a little pillow afterwards with still a lot extra. But be sure to measure your crib first! I also bought ribbon too. One spool would be enough. But I messed up and had to buy one more so you could be safe and buy two. I made the pattern with paper. I just measured how long each side is of the crib and added 1 inch so it wasn’t too short. I used the width of the paper as the length of how high the bumper would be (hope that makes sense). I just taped the paper together to the proper length for the bumper pads. Then I cut it out. 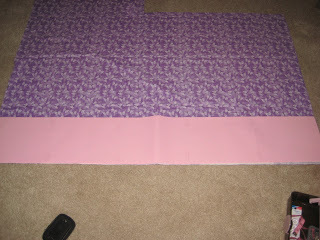 I used 2 different patterns of fabric, so I cut them both out and pinned them together. 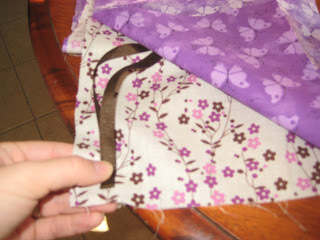 You want the outside (side to look at) facing the inside for both fabric pieces. Now I cut all my ribbons to tie on the crib. I did 2 each end of the bumpers because I didn’t sew them altogether like some bumpers are, I just kept them separate pieces. 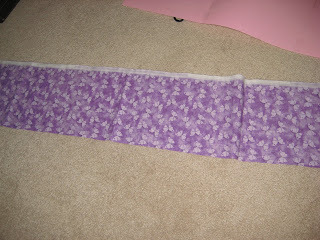 Then I folded them evenly in half to sew onto the bumper pad. 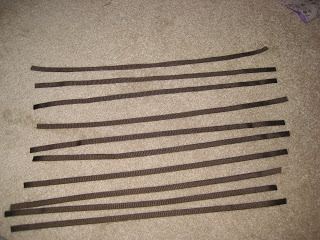 I placed them on the ends of the bumpers and pinned them at the seam. Make sure the ribbon is on the INSIDE of both pieces and not sticking out so it will be outside the fabric when you turn it inside out. 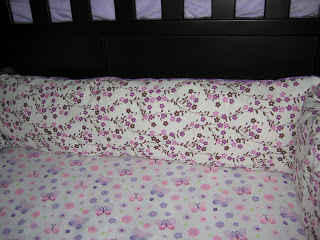 Then you’ll be able to tie the ribbon onto the crib. I originally messed up on this and had to cut the ribbon off which is why I had to buy more. Ha.